Many medics claim that osteoporosis is a result of lifestyle decisions, rather than a disease. The food that we eat can affect bone density and the health of the skeletal system. 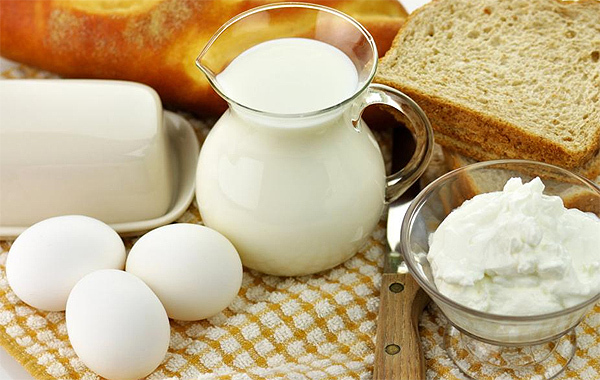 The proper selection of foods plays major role in the prevention of osteoporosis. Naturally, some foods can lead to the development of the disease or can aggravate its symptoms.The main foods that cause osteoporosis are usually the ones that cause the extraction of calcium from the bones. You probably know already that calcium plays a key role in maintaining healthy and strong bones. Osteoporosis is a problem that leads to the decrease of bone density. As a result, bones become brittle and the risk of fractures increases. The problem is very widespread and affecting mainly women. It often occurs in the cases of urban lifestyle and poor dietary habits.It’s also quite common among menopausal women due to the hormonal changes that they go through. Bones need calcium in order to be dense and strong. Bone density is determined mostly by the ratio of calcium to phosphorus in the body. A good anti-osteoporosis meal should contain 2.5 times more calcium than phosphorus. 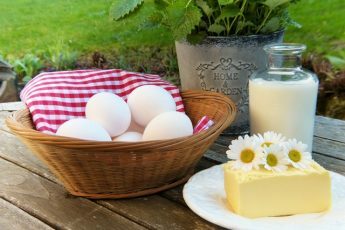 To absorb calcium efficiently, the human body needs magnesium, copper, zinc, vitamin B6, vitamin C, vitamin K and some proteins and lipids that help for the absorption of vitamin D.
Milk and dairy products are the food products that contain the best ratio of calcium to phosphorus. Naturally, an anti-osteoporosis diet needs to contain large amounts of fruits and vegetables in order to provide the body with all additional vitamins and minerals that are needed to ensure high bone density. Some foods are counter-indicative to bone health and could increase the risk of osteoporosis development.Here are the main foods that cause osteoporosis. The intake of sugar, honey and pasta needs to be limited. The same applies to white bread. Coffee and black tea can also increase the risk of osteoporosis. All refined products (like sugar for example) and caffeine hinder the absorption of calcium. The excessive usage of salt in meal preparation can decrease bone density by up to 15 percent in one year. Medical research shows that women who consume alcoholic beverages excessively develop osteoporosis during some stage of their life. Some weight loss diets, which have become exceptionally popular, can also increase the risk of osteoporosis development. British medics carried out research, which confirms that a third of the women willing to lose weight discard important vitamins and nutrients from their diet. About 30 percent of women in Britain have stopped consuming dairy products, while 26 percent claim that they examine only the calorie count of foods, when making a purchase. If you plan to lose weight, refrain from selecting a protein-rich diet. When you intake solely proteins, the body loses calcium due to metabolic processes. The absorption of proteins leads to extraction of calcium from bones to neutralize the effect of sulphates and phosphates that are found in animal proteins. Selecting foods that have plant origin is the best option, if you want to lose weight without increasing the risk of osteoporosis development. The best approach involves making your own meals from scratch. The more you reduce the use of pre-packaged foods in the kitchen, the healthier your bones are going to be. Needless to say, such a nutritional change will produce an array of additional health benefits.